Shingles, also referred to as Herpes Zosters, is an excruciating condition that comes about as a result of being infected by the varicella zoster virus . Chicken Pox is also a malady that can be painful and bring about much discomfort in a patient suffering from it. Shingles and Chicken Pox share a common root, the disease causing agent – the virus known as varicella zoster. 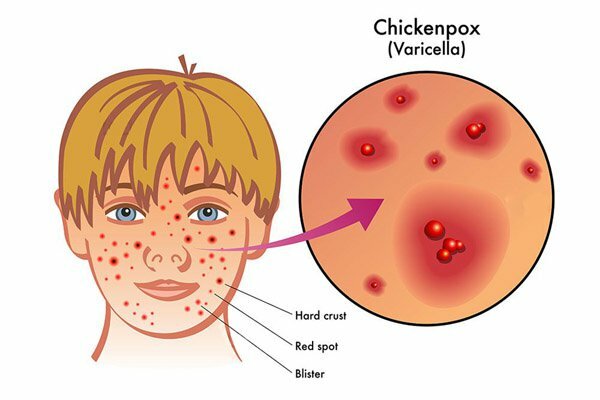 Chicken pox is most commonly associated with children, and is one of the major childhood diseases. Shingles on the other hand is more prevalent in people as they get older, with the majority of cases being found in people fifty years and above. The root cause of both Shingles and Chickenpox is the varicella zoster virus. 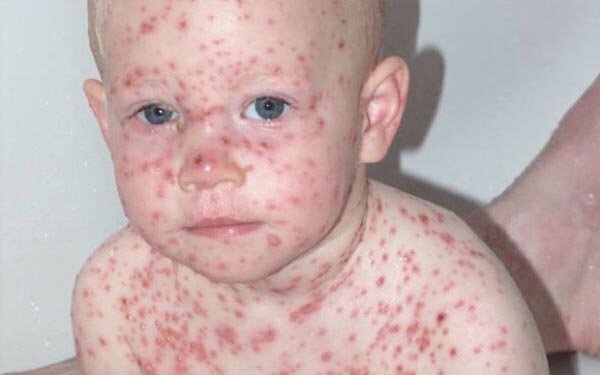 Children in general at some point in their life will have a run in with Chickenpox through exposure from other children and any persons suffering from Chickenpox. Once the virus is in the body, even if the Chickenpox heals, the virus is never completely eradicated and lives in the nerves of the body, especially in the dorsal root ganglion. The virus lives in this place in an inactive or semi-dormant state, kept in check by the body’s immune system. The body’s immune system makes sure that the virus does not replicate and multiply in an uncontrolled manner. Shingles or herpes zoster now develops when the body’s immune system is compromised. The immune system can become compromised when one is using medication such as immune-repressors, or one is undergoing an organ transplant, suffering from cancer or the Acquired Immunodeficiency Syndrome also commonly known as AIDS. The virus emerges from its dormant state and begins to increase in number along the nerve courses resulting in severe pain in Shingles patients. When one contracts the varicella zoster virus, they are most likely to develop Chickenpox first. The incubation period is the amount of time the virus can live unchecked and undetected in the body before signs or symptoms begin to appear. Chickenpox requires at least two to three weeks from the time of infection to a patient starting to fully show symptoms. With Shingles, once the patient has recovered from Chickenpox, the virus remains in the body in an inactive form, sort of like on stand-by. The virus can remain in this state for several years so long as the body’s immune system remains strong. The virus will most likely remain dormant and never get activated in most people who keep their immune systems in good condition. When it comes to being contagious, Chickenpox takes the cup, because it is easily communicable. Chickenpox has no age restrictions and can occur in any person of any age and gender. You can get Chickenpox (if you have never had it) by being around someone who has it. When a person suffering from Chickenpox transmits the virus to someone else, that person will come down with Chickenpox in a matter of weeks. You do not get Shingles by being in the same presence as someone with the virus. The transmission factor for Shingles relies solely on the fact that a person who has never had Chickenpox before comes into direct contact with the bodily discharge of a person suffering from the disease in the contagious phase, i.e. the blistering phase. Apart from this, there is no other way to transmit the varicella virus from a Shingles patient to another person. When a person suffering from Shingles comes in contact with a person who has never had Chickenpox and the virus is communicated via contact somehow, then than person will not suffer from Shingles immediately but will most likely come down with Chickenpox in the resulting weeks. Shingles will then only develop much later in the person if the conditions for its development are made available. Both of these diseases are distinguished by a painful blistered rash. The rash in Chickenpox is not localised and can spread anywhere on the body, in small fluid filled blisters . The Shingles rash on the other hand is localised and can be found in certain parts of the body, more commonly on the body torso, face, mouth, nose and neck region. In Shingles the rash forms a characteristic banding or belted pattern leading to the formation of clusters of red welted fluid filled blisters. Herpes zoster affects the nerves because the virus lives in the root ganglions. Because of the dermatome involvement the pain tends to be more severe in Shingles. General feelings of being ill at ease, development of mild to progressively aggressive fevers, pain in the nerves and incessant itching are some of the common symptoms. In herpes zoster however, the symptoms tend to be more aggressive and can become complicated. Both of these maladies can be easily diagnosed by taking into account the patient’s history and the taking tissue samples and sending them for testing in laboratories for confirmation of presence of the virus. Chickenpox does not pose quite as many difficulties as herpes does. Shingles’ after effects can be quite severe with several of the complications being facial paralysis, post herpetic neuralgia, blindness, bacterial infections and ear syndromes such as Hunt’s syndrome. Chickenpox only results in minor scarring at most and a few incidences of secondary infection and the potential risk of the remaining virus in the body developing into Shingles in the future as one gets older. There is a way to prevent most of this from happening though. There are several preventative measures that can be taken. Several vaccines are available for people of all ages. Chickenpox can be easily prevented by the use of the Varivax vaccine that most children have administered to them. The best time to receive the Chickenpox vaccine is when one is still young, because children tend to heal faster than adults. For Herpes zosters the vaccines that can be used are Varivax or Zostavax. Zostavax is the name of the vaccination that most elderly people particularly those above the age of sixty years are encouraged to get. Prior to getting pregnant, women intending to have children are equally advised and recommended to get one of these vaccines done at least three to six months before the intended time of getting pregnant. This will give them immunity against any unnecessary potential developments that may occur during their pregnancy. Fortunately the incidence of death in both of these diseases is very low with the majority of the cases recovering. For the most part, these diseases if left to run their full courses will clear up in a few days naturally without medication, with bed rest, good nutrition and some exercise encouraged during the healing period, that is all it takes. However because of the acute pain that often accompanies Shingles, doctors generally recommend and prescribe a course that involves painkillers and nerve blocks. In some people steroids are prescribed to help ease the pain as well. Wet compresses, oatmeal baths and the use of calamine lotion in both diseases can be used to soothe the rash and itching. Because of the nature of this maladie, it is important to be able to fully understand and grasp just how unique and different it is from Shingles. Although having the same root cause, the two diseases operate in manner that is slightly different. Chickenpox affects both adults and children alike, but tends to occur generally in children before the age of ten years. Adults who have never contracted Chickenpox even in their eighties can still fall sick with the disease if they come in contact with people suffering from it such as their grand-children. In old age the disease tends to be more of an annoyance as the time it takes to recover can be a bit longer because of the age factor. In the elderly Chickenpox tends to be more severe than in the younger patients. General symptoms that accompany signs of Chickenpox in the elderly include, but are not limited to the development of a fever and or headache, that is accompanied by feelings of tiredness and loss of appetite. The onset of the rash is the final sign of the ailment at hand, and it can be more of a burden upon the health of the elderly than for younger people. From the day you get in contact with someone with Chickenpox to the day you start showing symptoms can be as much as three weeks. People who have Chickenpox are contagious in the days before their rash appears. The period of being contagious remains active from this time on until all the rash has scabbed over. Children tend to get two sets of the Chickenpox vaccinations during their childhood and these are statistically reported as having a 98 percent success rate. Sometimes people wonder how the same virus can produce two totally different illnesses in people . Shingles and Chickenpox can be looked upon as sister diseases with the same root cause. But them sharing a root cause does not make them identical. There are particulars that are unique to both of them, in much the same way as siblings, though sharing the common root of having the same parents, are each uniquely different. Shingles is a viral disease that develops in some people after they have had Chickenpox. It is caused by the same virus that causes Chickenpox, but its symptoms and its after effects tend to be more severe than those of Chickenpox. Not everyone who had Chickenpox will have Shingles  . Doctors are not hundred percent certain why some people, although their immune systems get taxed and weak, the virus does not replicate and multiply like in the cases of people whose immune systems become weak and the virus multiplies and causes Shingles. Some of the reasons that lead to people getting weak immune systems include the use of immuno-repressing medication, people undergoing an organ transplant or those suffering from cancer or HIV. Stress and pregnancy are also linked to the weakening of an immune system. In the USA, the incidence rate is one out of every three people is likely to develop Shingles at some stage in their lives. There are more men in whom Shingle occurs than women. Shingles is far much less contagious than its sister disease Chickenpox. The manner the virus can only be transferred is if someone who has never had Chickenpox comes into contact with the bodily discharge of a person who is suffering from Shingles. People who have had Chickenpox before already have the virus in their body so they are not really at risk. When someone gets the virus, they will not develop Shingles, but rather Chickenpox. People who should avoid being in direct contact with people suffering from shingles are those people with weak immune systems including pregnant women. The infection period in Shingles can take anywhere between one week to three weeks for symptoms to start showing from the moment of infection. A person suffering from Shingles is only contagious during the time their rash is still fluid filled. Before the rash appears and after it scabs the person is no longer contagious. The most effective way to prevent Shingles is to get vaccinated for it. Zostavax is the vaccine that people above the age of fifty should get. Although sharing a root cause, these two diseases show that they are different and each should be treated accordingly. Fortunately both of these illnesses are curable over time and are rarely ever life-threatening.